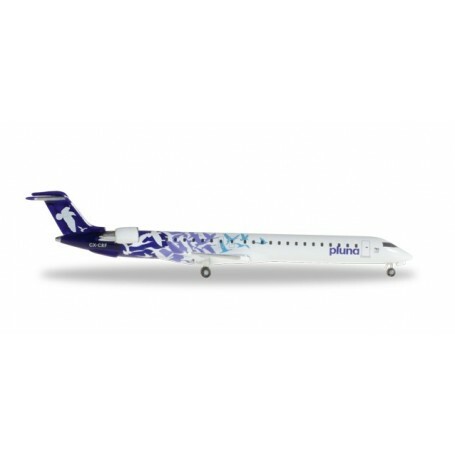 Flygplan PLUNA - Lineas Aéreas Uruguayas Bombardier CRJ-900, modell i metall. As the third in the PLUNA-Series, CX-CRF is now released with its different shades of purple. Also still available: CX-CRC in red (item no 527446).